Rocks!! 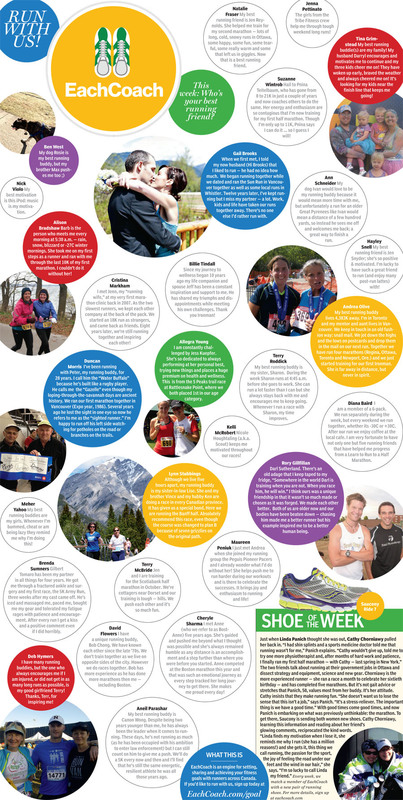 in National Post - Who is Your Best Running Friend? In the days before Facebook, Twitter, Internet dating and texting, there was the Beaton Classic.It was the place to be, and many a couple emerged from it and the Sudbury Fitness Challenge events that led up to the Beaton. Now, it's hard to believe the four-event race is still around. Even that the Fitness Challenge still exists, lost in a void of all the other sports out there.Yet, one could argue that the challenge and the Beaton are even thriving in their own way. People won't let them die, in part because that's where so and so met. And on Sunday morning, with minimal advertising beyond plain old word of mouth and the help of SudburyRocks! !.ca, the Outside Store and the Running Room, there will be a couple of hundred people out for the Beaton, regardless of weather conditions. 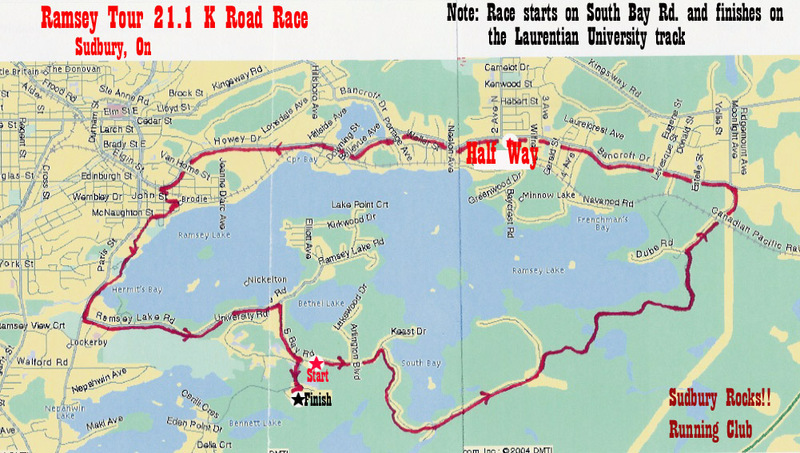 The event initially staged at Laurentian University moved to Moonlight Beach in 2007 for a rebirth. The Classic had waned and finally disappeared in 2004 only to be revived by enthusiastic volunteers. It has been nurtured and is growing steadily. When you look at its history, the Beaton reflects the way sport and participation in sport have shifted during the last 25 years. Founded in 1983, the Beaton was named after former Sudbury mayor Bill Beaton, a legendary canoeist among other athletic achievements. The solo canoe was inserted in his honour by his grandson Terry McKinty, the lead organizer who also organized a ton of prizes and paraphernalia for Beaton entrants. 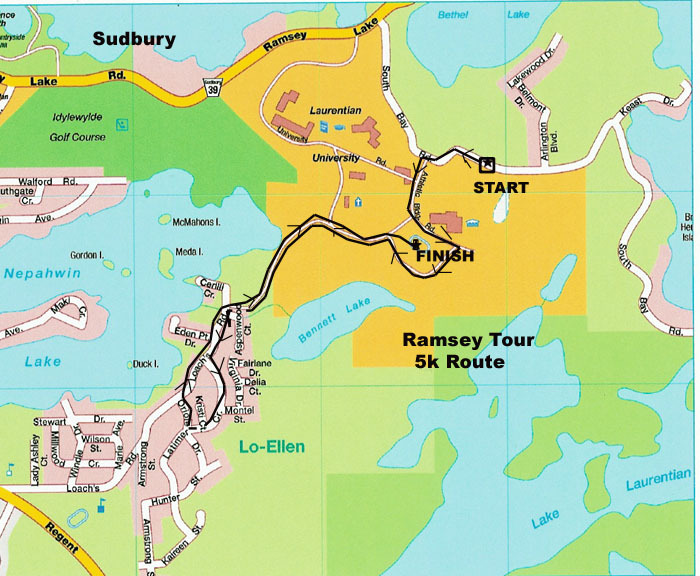 The event was designed to push the best athletes, either as soloists or on teams, to their limits, while showing off the beauty in and around Lake Ramsey, Lake Nepahwin and Laurentian University. What with all the swag, the Beaton amassed thousands of dollars of debt. It recovered, grew leaner, yet stilled lured athletes to stand practically naked at 8 a. m., at the starting line, then dash to the university beach and swim one mile before handing off to a teammate who would bike. Others would canoe, then run.You always thought you could do it solo until that moment when you started running to the swim. In the glory years of the Beaton, athletes were selected well in advance. Swimmers and canoeists were snatched up early. A Beaton medal was a much sought-after prize. The food was sparse, but that was OK because pasta parties preceded and proceeded. Late Sunday, there was usually more than one post-race party to attend. Couples met and even raced together at the Beaton. It was the spot to scout the athletic action and what was on the scene, not in a club. Then, it all came crashing down. The Beaton required massive amounts of volunteers, time, money and work. People turned to triathlon. Funding for a full-time organizer was gone. The crews running it -- all parents with very young children -- fried out. Triathlon was encroaching. It was cancelled in 2004. It returned in 2005, then never happened in 2006. It returned quiet as a whisper in 2007 under the new directorship of John and Celena Leonard. They nurtured it until 2009 when Neil Phipps took on the lead position. Under his watch the event has steadily improved and is gaining momentum. It is the Beaton, yet less frantic.This version of the Beaton is cut in half. The distances are so much civilized. It's centralized, running in and out of Moonlight Beach. The swim and canoe happen in the same place within sight of the beach. Still, some things about the Beaton never change.It still takes athletic talent to claim the title. As it was back in the 1980s, there's nothing like winning the Beaton. For even in this, its latest, shorter incarnation, the Beaton is a challenge and a classic. The 2014 Beaton Classic is THIS SUNDAY! Don’t miss out on this iconic Sudbury fitness event. It isn’t too late to sign up a team! Don’t have a full roster? We can help you find someone to fill your team. Don’t forget about the kid’s triathlon too (ages 8-12). This is a very fun, friendly and supportive event. New this year are technical t-shirts included in the entry price for all Beaton participants (kids can purchase a shirt on race day). Enjoy an amazing spread of post-race snacks and the highly sought after Dilly Bars. Thinking about how to fill the long summer days in 2015? Not yet? You should be! Who is Your Best Running Friend?